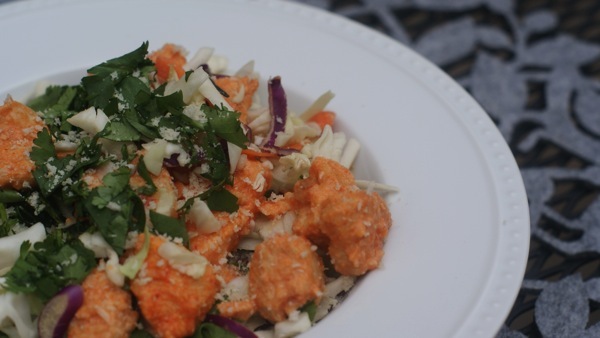 Who doesn’t love the classic Bang Bang Shrimp from the Bonefish Grille. 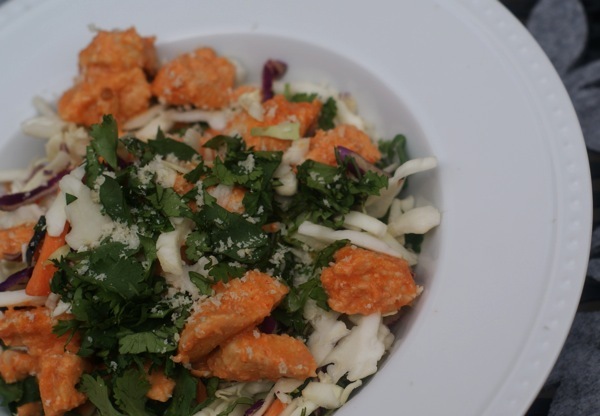 It’s sweet and spicy and crunchy and delicous. A perfect treat for going out. But if you want something simple and tasty that reminds you of that fun dish, try this recreation. It’s not shrimp and it’s not fried, but it’s full of flavor and fun to serve! In a small bowl, combine mayo, sweet chili and sriracha. Divide mixture in half. Dice the chicken and marinate in half of the mixtture of mayo, sweet chili sauce, and sriracha. After chicken has marinated for 2-24 hours in the fridge, cook in a medium frying pan until chicken is cooked. When chicken is cooked, mix with the rest of hte sauce and sprinkle with panko bread crumbs. You can have it more than once a while too! Do you think I could substitute greek yogurt for the mayo? Thanks lady! Hope you’re well!